Flight 103 was en route to Calgary from London on Wednesday night when it diverted to Iqaluit. The pilot of a British Airways flight that had to divert to Iqaluit on Wednesday evening en route to Calgary, says it was a "fumes event" that forced them to land. The British Airways Boeing 787-9 Dreamliner was diverted to the Nunavut capital Wednesday evening. Passengers and crew were forced to spend the night in Iqaluit. An airline spokesperson said Wednesday's flight, BA103, was diverted to Iqaluit at around 7 p.m. because of a "technical fault" with the aircraft. The flight was coming from London, U.K. The airline's representative said the decision to land in Iqaluit was precautionary. "If you have a known problem, deal with it. If it's an unknown problem, it's best be safe than sorry," said Capt. Rich Dunn. Dunn, a pilot for 28 years, said they had suspicions that there was an issue between Greenland and Iqaluit, and then they made the decision to make a "hard left." "The decision was a pretty obvious one for us. Let's get this thing on the ground, just so the engineers can get a look at it." 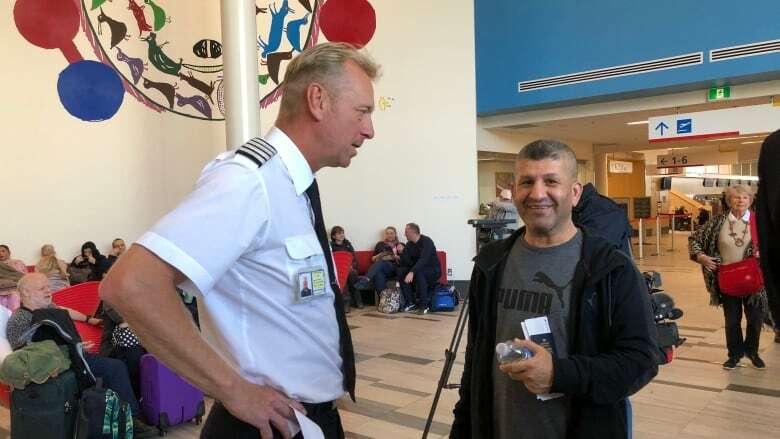 He said the priority was the passengers, but noted that the crew has been amazing, as have the air traffic controllers and ground crew in Iqaluit. 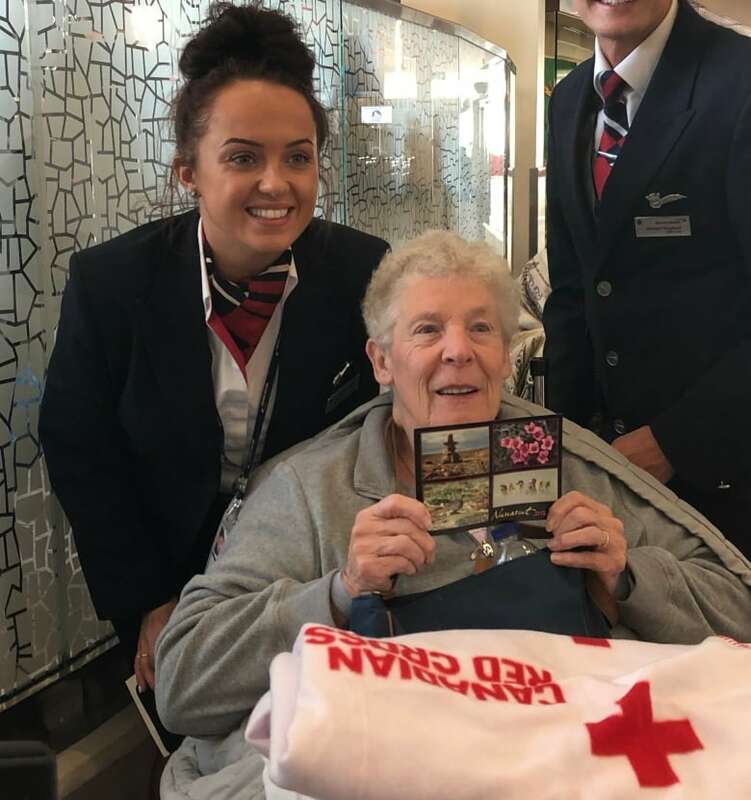 "They were fantastic," said passenger Anne Graham about the crew on the flight. The 78-year-old was sick on the plane and said the crew did everything they could. "I don't think I could've got through it without them, to be quite honest," she said. "Everybody has been so brilliant. They really have. I mean, this happened without any warning, at all. Everybody was catered for," Graham said. "All the passengers we were all sort of worried and tense, but nobody lost their sense of humour." Graham said she slept on a mattress in an office on Wednesday night, which she appreciated. Flight attendant Charlotte Lewis echoed Graham's thoughts. "This airport has been phenomenal, absolutely phenomenal," she said. "It's a credit to this little island, really. The fact that we landed the plane and everyone has been so well looked after, us and the crew as well." She said the passengers were very compliant during the flight, which "is so important when something like this happens, because it enables us to do our jobs properly." "Our training program as cabin crew at [British Airways] is so intense. As soon as something like [this] happens it just kicks in and it's like second nature. You know exactly what to do." Iqaluit's airport opened a new $300-million terminal last year. It's eight times the size of the original building. The city has a population of about 7,700. 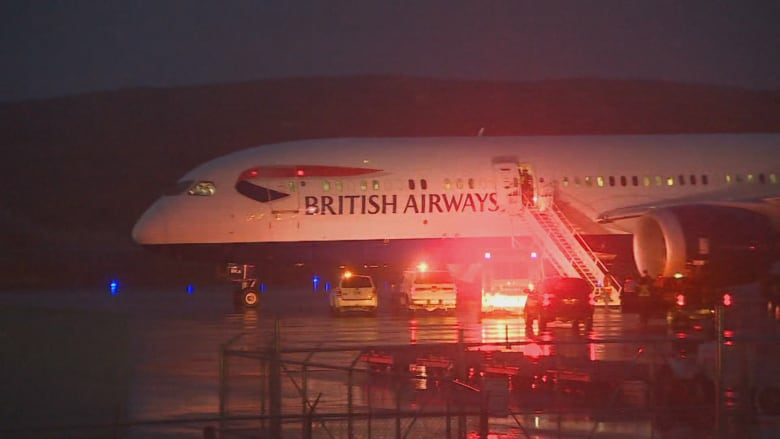 A second British Airways flight landed in Iqaluit late Thursday morning. A British Airways spokesperson said Thursday's flight will depart as "quickly as possible," and that airline engineers would carry out an investigation into what happened Wednesday. According to the British Airways' online flight status monitor, the new flight is scheduled to land in Calgary later today. As for his first trip to the Arctic, Dunn said he didn't pack for the cool weather, but praised the city. "It's absolutely gorgeous and you've got some wonderful people here. Thank you very much for the hospitality."